It was my son’s friend in church (Kuya Ise) that introduced him to B-Daman. Then, he saw it on TV and heard it from his classmates. So he asked his Dad to buy him one, and they got a Rev Dravise Set. When one of his godmothers (Ninang Olive) asked me what gift Justin wants for Christmas, I told her he wants another B-Daman. She got him a Spin Leohjya that Justin received last December 6 when we went to Glorietta 4 to see my girl friends, most of whom happen to be his ninangs. These days, whenever he wants to play with a toy other than the iPad, he gets his B-Daman toys and plays with them on our bed. His fascination with B-Daman doesn’t end there, however, as he is determined to have more of these marble blasters. 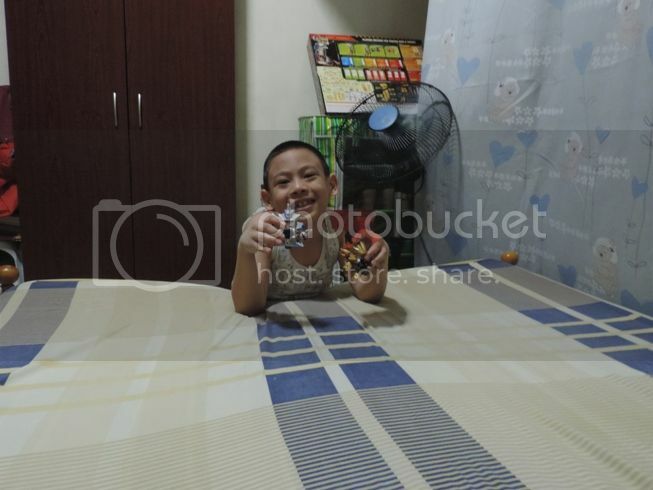 An officemate of his Dad who is also Justin’s godmother (Ninang Belen), already gave his Christmas gift to Justin, coupled with a gift receipt in case he wants it replaced. 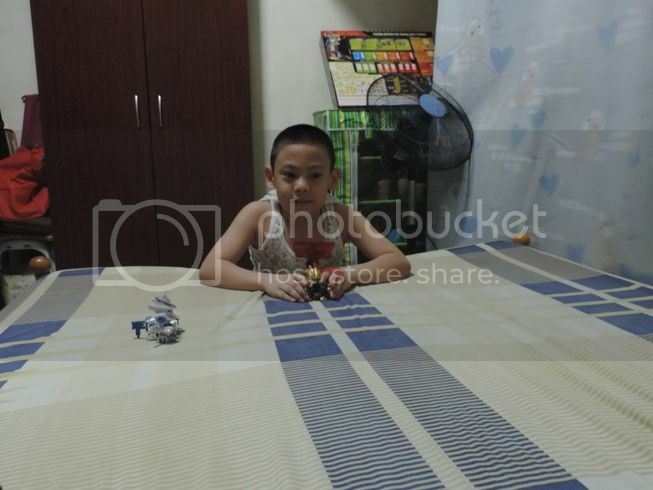 It turned out that Justin already owns the same toy that his Ninang Belen gave him, so his Dad exchanged that toy for another B-Daman, two B-Daman toys actually, but there’s a catch. Justin can only open those two new B-Daman toys after he’s done with all of his quizzes in school this December. That’s to teach him the value of delayed gratification. This entry was posted in B-Daman, Christmas Gifts. Bookmark the permalink.